Another day to share some poetry! 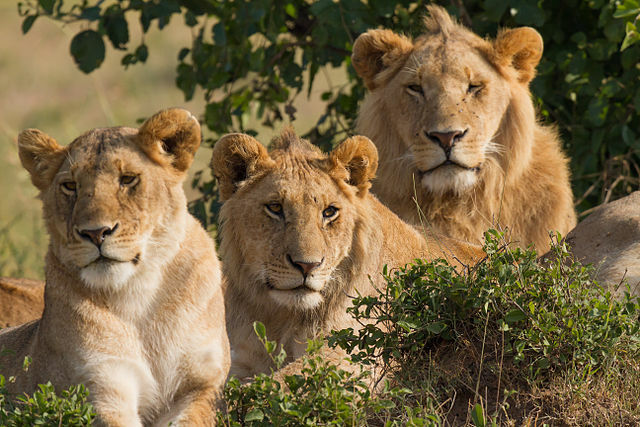 Rather than scenery this week, I decided to share this beautiful portrait of three lions. Just beautiful, aren't they? Some of you took part in Susan's Midweek Motif - Moon - this past week. Wow, what a great turnout that prompt had. Next week's motif will be shoes, which should be an interesting prompt as well. Hope you didn't miss Rosemary's Thought Provoker "Thomas Gesses" this week. A deep and thoughtful article, as always. Monday Sherry will be presenting a wonderful interview with a poet fairly new to Poets United. Every poet has a story, and Sherry manages to find the most interesting aspects of the most interesting people. With no further delay, let's share poetry. Link your poem below. Stop in and say hello. And visit others who have posted their poems throughout today and tomorrow. I look forward to seeing you on the trail! First time here. Glad to have found another great writing resource! I'm sorry I haven't been linking up for the past week but I've been away. Back now and raring to go! Nice to see many people here today, including some new visitors. Hope everyone has a good Sunday. We have a snowy one! Smiles. Wow beautiful lions. 😊 Happy Sunday, dear poets. It has been a while since I have been able to visit and participate here due to more illness than I would like (cold and flu), but as I am on the mend, I am back and looking forward to visiting all! Happy Sunday, and I hope it might be a bit warmer where you are....we are in for a cold, snowy February here. I'll be back! Sunday is busy morning and midday, but after that I am free to come here and read, relax and imagine. Have a good day. Good Morning~ See everyone soon. So nice to be here today. Yes, Mary. That lion portrait is lovely. Thank you for this and all you do at PU. Hope everyone has a fantastic week. Good morning, poets. I loved seeing the lions this morning. Looking forward to starting my day with your wonderful poems. I always like to see lions! Wonderful creatures! Morning! The weather here has been in the high 70's and being outside is wonderful! I may ride my bike again today but first I had to come and link up with my favorite people. Of course, I'll be around to read. Have an enjoyable Sunday! Hi everyone. I've been a bit iffy in posting but...I am here today and finally over the flu. And to be greeted by lions! What a wonderful start. I'll be in and out today reading and commenting. Happy week ahead to you all.